Oil and Gas Conservation Tax (at one-eighth of one cent per barrel). Revised the graduated rate schedule in the oil and gas production tax and indexed the price per barrel to the wholesale price index for crude oil. Allowed the lease or sale of state lands for pipeline purposes. The Watergate scandal and successful citizen's initiatives prompted the Legislature to create the Alaska Election Campaign Commission and to pass the Alaska Campaign Disclosure Law. The 1973 and 1974 Bristol Bay red salmon runs fell to record lows leading to state and federal disaster declarations. Lawmakers passed the Limited Entry Act to control participation in commercial fisheries. As individuals flooded the state seeking pipeline-related work, fierce competition for housing led the Legislature to adopt the Uniform Residential Landlord and Tenant Act in 1974. The Legislature also created the Alaska Commission on Postsecondary Education to administer the student aid program and to regulate postsecondary institutions, and allowed for a student on the University Board of Regents. 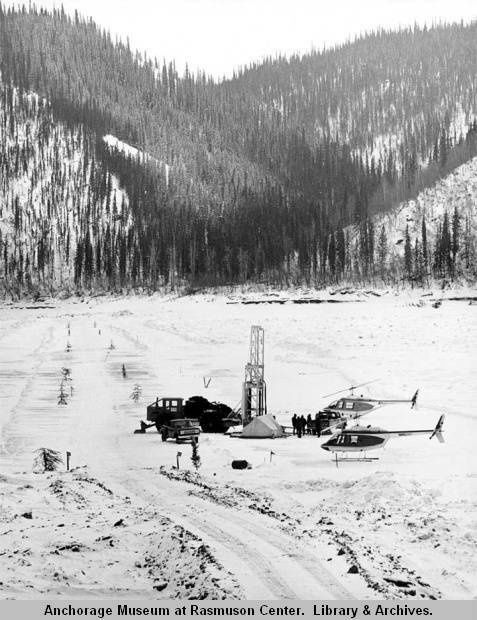 In 1974, the capital move returned as an issue when Alaska voters approved a citizen's initiative to relocate the capital to one of three sites at least 30 miles from Anchorage. Voters disapproved bonds needed to fund the move when they came to the ballot four years later. The Trans-Alaska Pipeline System (TAPS) is estimated to cost $900 million. The final tally is $8 billion, or about $24 billion in 2010 dollars. On March 3, 1973, the first Iditarod race to Nome begins. The Middle East Oil embargo begins in October 1973. The U.S. Supreme Court issues Roe v. Wade, a landmark decision on the issue of abortion. Gerald Ford becomes president upon Richard Nixon's resignation over Watergate. Patricia Hearst is kidnapped by the Symbionese Liberation Army. Dissident Nobel writer Alexander Solzhenitsyn is expelled from the Soviet Union.